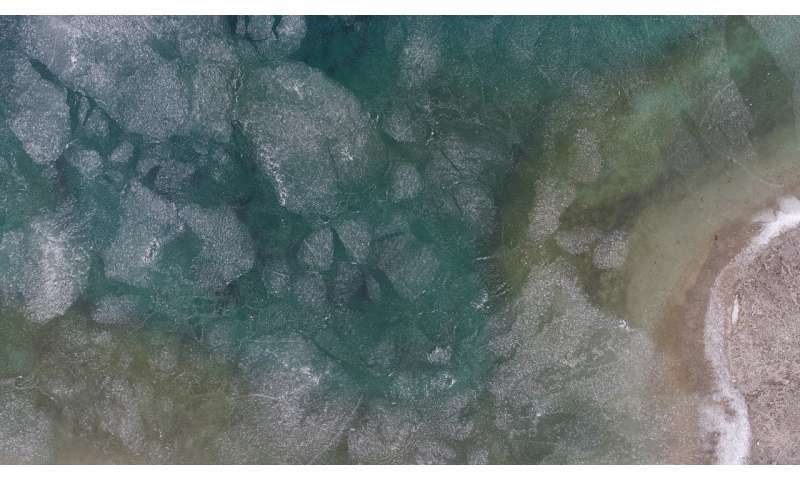 Life on Earth could have originated in cold conditions near the surface, before spreading to warmer environments, according to research that analyzes the possible gene sequences belonging to the earliest life. All life on Earth today originates from two distinct developments in our planet's biological history. These are the emergence of the first life forms billions of years ago, and the subsequent evolution of the last universal common ancestor (LUCA) of all extant organisms. Whatever they were at the time, these two extinct species – the first life and LUCA – likely occupied radically different environments, suggesting that early life had to undergo a series of evolutionary changes of which traces may still be detectable in organisms alive today. "Encountering such environmental variability early on may be necessary to build up the level of complexity needed for LUCA to have the evolutionary potential to continue to diversify and colonize nearly every habitat on Earth over four billion years," Greg Fournier, an evolutionary biologist at MIT, tells Astrobiology Magazine. Fournier and his colleague Marjorie Cantine detailed their findings in the journal Origins of Life and Evolution of Biospheres. Although nowadays DNA reigns supreme as the blueprint of life, one theory shared by many evolutionary biologists is that the first living things on Earth possibly used the simpler RNA molecule, which is able to both encode genetic information like DNA and trigger vital chemical reactions like many proteins. The researchers analyzed records of gene sequences that are found in all organisms currently alive on Earth, including the ones likely similar to Earth's most ancient organisms, in order to figure out which sequences early life probably possessed. They next examined previous research exploring how well these RNA sequences perform in a variety of conditions, such as temperature, acidity and radiation to deduce what the environment of the earliest life on Earth might have been like. Ultraviolet light can damage RNA, but it may have also triggered chemical reactions that helped create key building blocks of life. At the time of life's origins, approximately 4.4 billion years ago, the Sun gave off more ultraviolet rays than it does now. The scientists suggested that life first emerged near Earth's surface under some form of radiation shield, such as water, ice cover, sediment or other barriers, and had access to unshielded environments that could generate key biomolecules. Temperatures on Earth may have also been relatively cold at that time, given the Sun's cooler youth, enough for significant ocean-ice to form. It is easier for amino acids (the building blocks of proteins) and long RNA molecules to assemble in cooler temperatures. Moreover, icy surfaces and slush could have concentrated biomolecules together to assist the emergence of life. In contrast, the last universal common ancestor – the microbial species from which all life that exists today came from – may have lived in moderate temperatures, perhaps at least four billion years ago. Scientists can surmise what LUCA was like by looking at what genes organisms on Earth today have in common, analyzing how these genes changed over the course of evolution, and deducing what the ancestral versions of these genes might have been like. The DNA sequences making LUCA's 600 or so genes and the amino acids making up its proteins are usually most stable in moderate temperatures, the researchers said. "Building on the work of many others, we suggest that life dispersed into and adapted to new environments very early in its history," says study co-author Marjorie Cantine, a geobiologist at MIT. The scientists also suggested that LUCA lived on Earth's surface, in contrast to other studies that suggest that LUCA lived around deep sea hydrothermal vents. If LUCA did indeed arise on Earth's surface, then it likely possessed genes that both fixed the kind of damage that ultraviolet light causes and required near-ultraviolet light to power these repairs; it is these genes that suggests to Fournier and Cantine that LUCA was exposed to solar ultraviolet light near the surface. The researchers suggested that since life apparently originated in a very different environment than the one in which LUCA lived, early organisms likely evolved to survive radical changes in their surroundings. 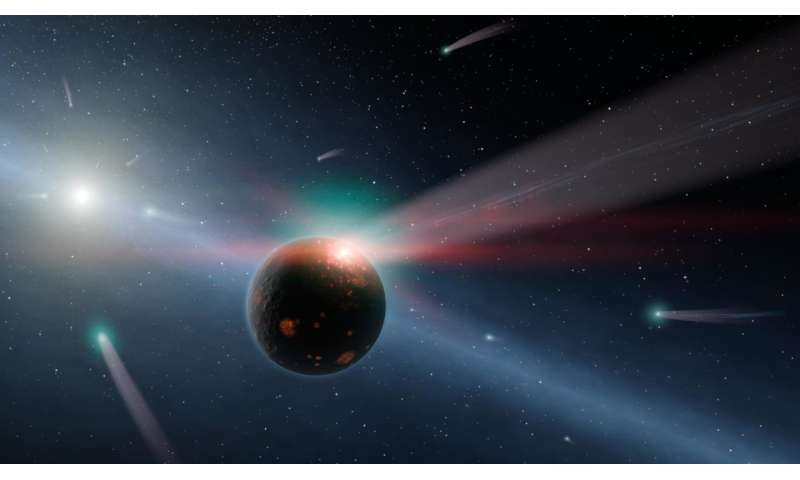 Such dramatic shifts may have included the Late Heavy Bombardment during which swarms of asteroids and comets collided with Earth and the rest of the inner Solar System; the formation of continental crust; and the widespread emergence of liquid water on Earth's surface. A key early adaptation likely included cellularity—that is, collecting everything about themselves within a cellular membrane. Cellularity would have been critical to organisms dispersing away from their original settings and diversifying into new environments. Assuming that early life adapted to survive in a checkerboard of many different kinds of environments, "the complex ecological relationships between different species may have been a part of life on Earth since very near its beginning, and LUCA is only one example of the life that may have been extant at that time," says Fournier. "Perhaps a rapid establishment of complex environmental and ecological relationships was even necessary for early life to persist," adds Cantine. The picture painted by Cantine and Fournier of the early evolution of life on Earth is just one plausible scenario. "Our interpretation, like others, relies on a limited [genetic] record and is one contribution to a lively debate," says Cantine. The researchers note that, when hunting for possible signs of life on Mars, searches should not be constrained to probable environments in which life could have originated, since life on Mars may have moved to other environments since it emerged. Instead, Cantine and Fournier propose that the search for life on Mars should focus on those environments that are most likely to have captured and preserved traces of life. How hot were the oceans when life first evolved? Did water-based life originate without water?